Posted on September 9, 2012, in Blue Monday, door, Guanajuato, haiku, Haiku Heights, September Heights, Straight Out of the Camera Sunday. Bookmark the permalink. 14 Comments. I like shabby chic but only on doors! Now I’m interested to know what is on the other side of the blue door. Beautiful find! My blues are here and here. 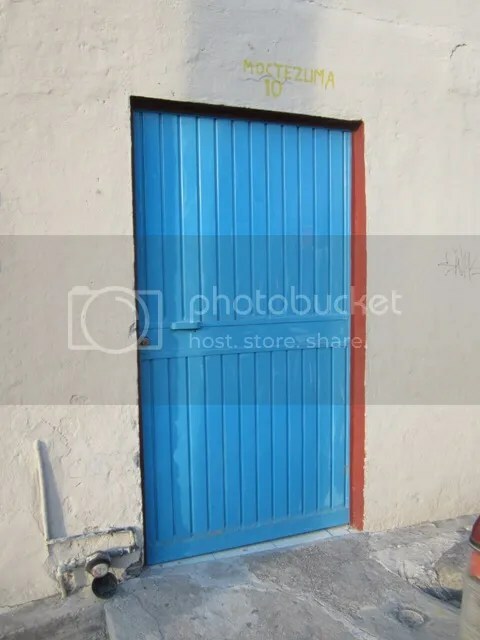 Thanks for sharing this beautiful blue door. Love that color of blue against the cream. There’s something persistent about this door—or the painter of the door—that it has lost its gloss seven times already. I’d like to know more of the story!